I had ridden a limited amount of flat track on my older OSSA 250 Stiletto but it wasn’t competitive (Okay.. I wasn’t competitive). 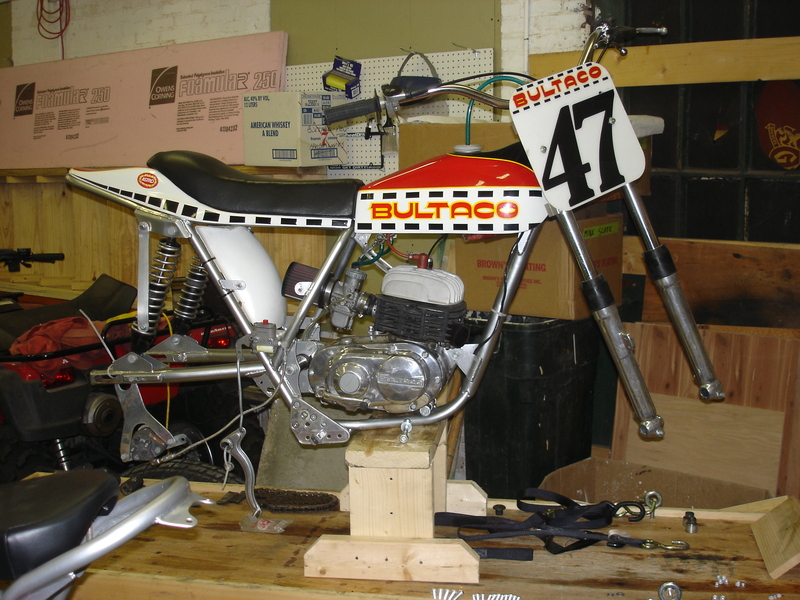 I decided to move to Bultaco and converted a 200 Pursang like the one nearby in the museum with a spool front hub, compression release, and some engine work. It served me well! 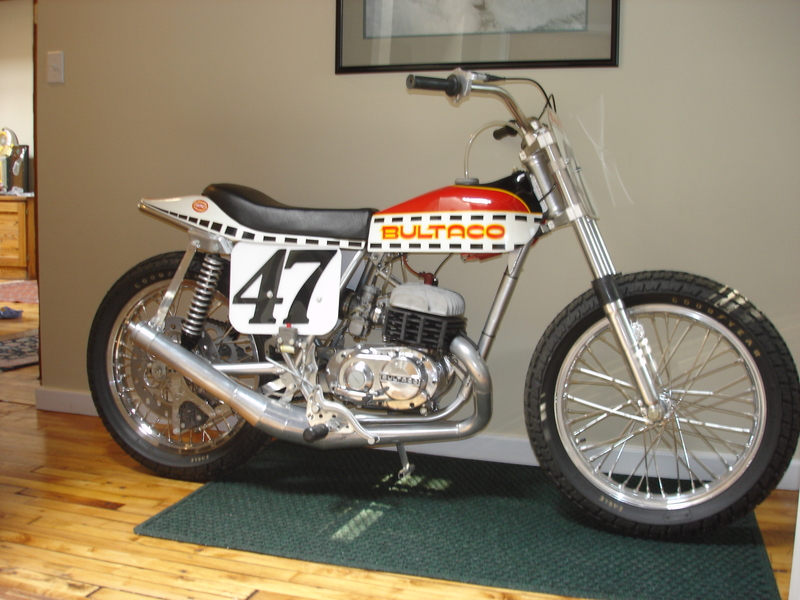 However, I always thought the Astro was just gorgeous and when one came up on eBay, the hook was set. 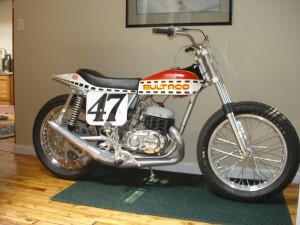 To this day I think “flat trackers” are by far the best looking motorcycles of any kind!